2719 HYPERION: Acknowledge the Legacy. Restore the Dream. 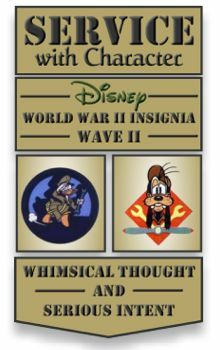 Since I started 2719 Hyperion this past September, I've steered clear of many of the more controversial issues concerning the states of the various Disney theme parks. 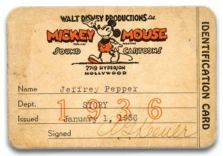 While I have very strong opinions in regard to many of these debates and discussions, I resolved early on to keep this site more focused on celebrating the rich heritage and history of the Walt Disney Company. 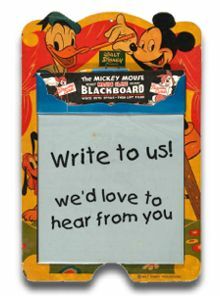 There are a number of excellent blogs that specifically address the Disney Company's management of its parks, most notably Re-Imagineering, EPCOT Central and Passport to Dreams Old and New. I have long followed and respected their articulate and insightful commentaries, and the subsequent discussions they inspire. But I read something today that has at least for the moment, transformed me from passive chronicler to concerned activist. In comments made to Deb Wills of AllEarsNet, Epcot Vice President Brad Rex said " . . . that although 2007 marks Epcot's 25th anniversary, there was no big celebration planned, although there would be private observances behind-the-scenes for cast members." Yet another nail in the coffin of the original vision of EPCOT Center. The park continues to suffer an identity crisis so severe that's its own management sees no need to celebrate its unique and wonderful legacy of forward thinking idealism and international cooperation. 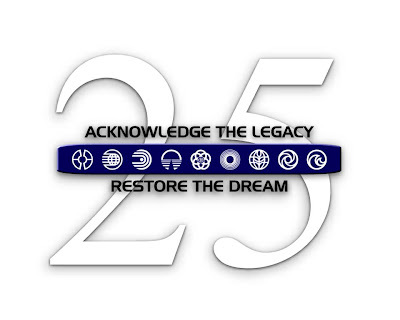 Since Disney has obviously decided to not acknowledge Epcot's 25th anniversary in any truly significant way, it is up to us, the passionate enthusiasts of Disney culture as represented by web sites, online communities, podcasts, forums and blogs, to engage in a celebration of our own making. In the future weeks and months leading up to October 1, 2007, the rich legacy of EPCOT Center will be featured on 2719 Hyperion frequently and prominently. And I encourage my fellow bloggers, webmasters and podcasters to do the same. And I welcome all who so desire, to make use (non-commercial, please) of the anniversary logo I have created. At the very least, we can acknowledge the legacy. 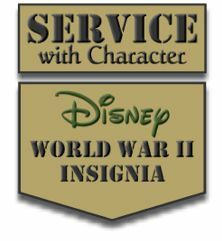 Maybe in some small way, it will help inspire the current or future stewards of Epcot to restore the dream. Please don't go the way of those other overly-negative Disney blog-writers. And please don't let this blog become just like them. Besides, one of the things that already has attracted me to this blog is the fact that it contains far more rational articles regarding current issues at the Walt Disney Company and not just dismissing every single little thing that they do now as "trash". And I would be very sad to see this Blog loose any of its positivity, to counter the negative views. I don't do much WDW based stuff on my (still very new) blog, but I'll try to dig up some Epcot things that I have and celebrate it where I can this year. It's a great idea, imo! EPCOT was always my favorite Orlando park. Negativity is clearly not my mission. That is why I have suggested the Disney online community celebrate Epcot throughout the course of the year. I have voiced my displeasure over Disney's management's lack of acknowledging the 25th anniversary--I won't continue to revisit that subject, rest assured. What a GREAT idea! I agree that its a shame that there is no planned celebration for EPCOT and it does speak to the fact that the park could use some TLC overall. Obviously, the infusion of new rides is a big help, but I agree that there is a lot of opportunity for some overall identity improvement. Regardless, I think this ia an excellent "call to action" for the Disney community and a great way for all of us to celebrate this important milestone in EPCOT's history. Nice. Can I get a higher res file to use on a T-Shirt? I love the t-shirt idea! 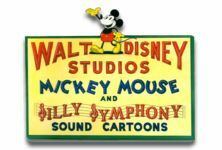 Jeff... would it be possible for you to join forces with an existing Cafepress merchant, such as RetroDisney, to create a t-shirt with your 25th logo? I would definitely purchase one and proudly wear it on my next visit to WDW!! Thanks all, for the interest and support. I am currently looking into the possibility of product with the logo. I need to tread carefully as it does use the original Epcot icons and so there might by copright concerns. 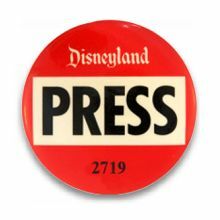 I am currently a CafePress merchant (totally unrelated to 2719 Hyperion and Disney interests) so I have the necessary resources in place to move forward with producing shirts and such if it is in fact possible. I'll update on the blog when I know more. hopefully we can all make a difference and acknowledge the legacy. There's nothing wrong with showing your discontent when it's justifiably warranted. It's a great idea, count me on board. But, um, it appears your hosting site is out of service and I can't download the image. Have you considered utilizing mirror sites? I'll gladly offer mine for the endeavour. Aside from what OLC is doing for Tokyo DisneySea's 5th anniversary (a move unique to the demands of their audience and designed to drive attendance at TDS, which has yet to live up to the numbers of Tokyo Disneyland), Disney has never held a celebration of an individual park's anniversary (other than Disneyland or Magic Kingdom). 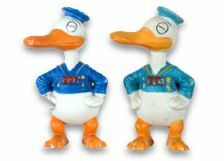 Anniversaries, including the 10th for Epcot, have always been recognized instead by a small selection of merchandise. While it's perfectly acceptable to celebrate Epcot online and internally at Disney, it makes no sense to build a "celebration" around it. Disney markets Walt Disney World as a whole destination, with the hope of inspiring prospective Guests to visit all the parts and parks. And like it or not, marketing is really what celebrations are all about. The vast majority of people out there are not part of the relatively small Disney fan community. 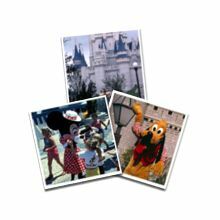 Most people fall into one of two groups: never been to Disney or been once and might consider going again. Celebrations are designed to make Walt Disney World attractive to those who have yet to visit, and to show those who have been before that something new and exciting is going on - something on which it's worth spending their valuable time and money. I am all for Epcot i've been going there since 1987 when I was 2 years old. All the history and art and all the learning you can get in one day, then you could in one year of school. 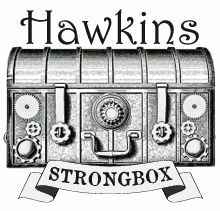 I love your logo and will make a t-shirt with it!! I hope Disney changes their crazy minds, becasue Epcot needs a 25th to celebrate!!! and i curse The Walt Disney Co.
for not doing a huge, insane celebration for it. they did one 4 magic kingdom, EPCOT deverves it TOO! I fully support this idea as EPCOT has always been close to my heart and deeply embedded in some of my finest Disney park memories. 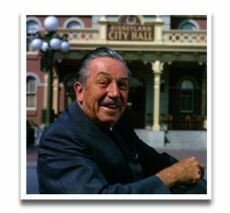 Furthermore, EPCOT was founded upon the passion and optimism that Walt had for the future. He was a true visionary that strived to open the minds and hearts of people to a better place and time for our children....our future. While EPCOT may have not hit it's mark or become what Walt truly wanted, it's foundation is still built upon the premise of sharing ideas for a better tomorrow, discovery, and a global community. The Acknowledge the Legacy banner has gone up on the main page of the Disney Podcast Network's website and links back to 2719 Hyperion. I commend Jeff and others who share in acknowledging the 25th year of a true cultural gem. Have you made any headway with the T-Shirts? I will be at WDW in September and would love to wear one! I will be 25 in October too and was really dissapointed that no official celebrations are planned. Thanks so much for the link on DPN and the very nice words. Very much appreciated. 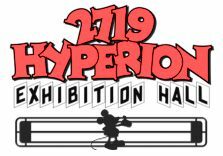 Check out the 2719 Hyperion Studio Store. The link in on the top left side of the regular blog page. There are a few different Epcot 25 styles of merch to choose from. 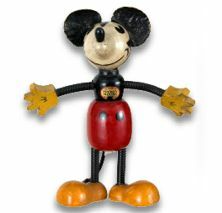 J. Falvo of Houston TX thank you for posting the link at the Disney podcast network website. By the way Some kids told me that they are restoring EPCOT to it's former glory in the hot tub at the embassy suites in St. Charles MO near St. Louis. 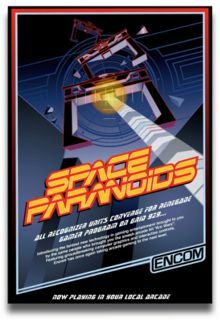 i read on a site that the mickey arm andwords epcot will be taken down to make spaceship earth as it was before 2000.